Bournemouth boss Eddie Howe praised his sides defensive display after they held off a Huddersfield comeback to claim a 2-1 win, their first victory in five matches. 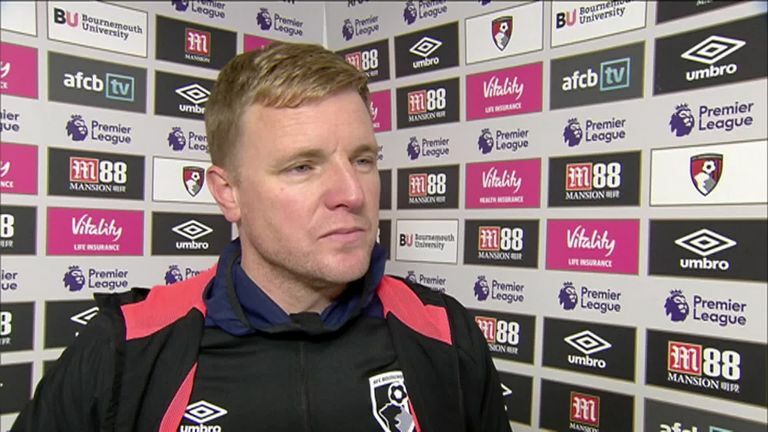 Eddie Howe described Bournemouth’s 2-1 win against Huddersfield as an important one for his side after they ended a run of four straight Premier League defeats. Bournemouth had lost to Newcastle, Manchester United, Arsenal and Manchester City in recent weeks but goals in the opening 22 minutes from Callum Wilson and Ryan Fraser got them back on track. And Howe hopes the victory, which sees Bournemouth move up to sixth, can restore his side’s confidence.